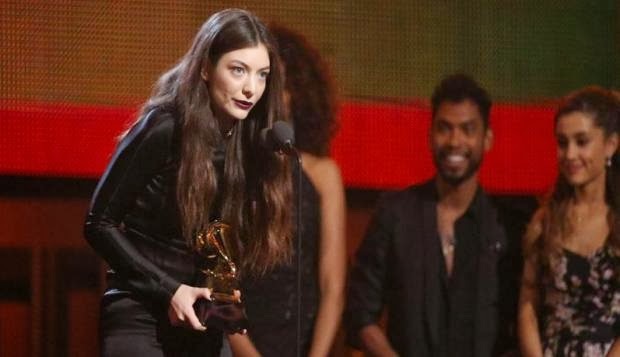 New Zealand and New Zealanders around the world are currently riding on the wave of Lorde's (Ella Yelich-O'Connor) success at the Grammy Awards 2014. Born and raised in Devonport, Auckland makes her a 'true blue' Kiwi. Some have mistaken her for a Brit. I'm sure it won't be long before the Aussies start calling her their own. Best Pop Solo Performance - "Royals"
Best Vocal Pop Album - "Pure Heroine"
Song of the Year - "Royals"
Record of the Year - "Royals"
Whilst she didn't win the award for Best Vocal Pop Album and Record of the Year, which went to Bruno Mars and Daft Punk respectively, she did pick up two awards for Best Pop Solo Performance and Song of the Year. This is her acceptance speech for her Best Solo Performance Award, which starts at 0.15. I decided to post up this video because I miss the Kiwi accent. 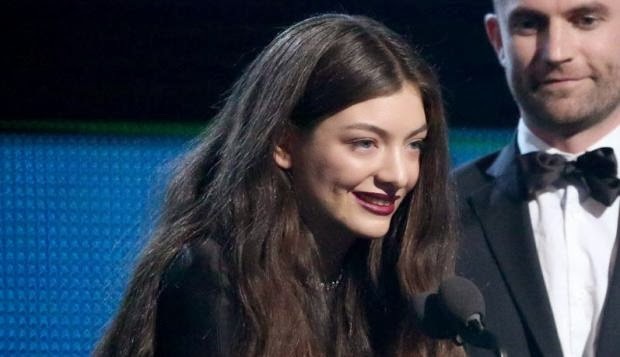 In case you missed it, or you just want to see Lorde's stunning performance at the Grammy Awards 2014, check it out here . .